As China’s biggest tech company and one at the forefront of the scene, Huawei is not left behind with the development, particularly in the mobile department. With today’s 4G soon to be succeeded by a faster and better technology, that is 5G, Huawei is already well on its way in making this next step to advanced level of telecommunication a fruition. And, with an expected commercial launch in 2020, Huawei is already partnering up with many businesses in the industry. Many tech enthusiasts of today are already familiar with the terms like 3G or 4G with the use of mobile internet with their smartphones, but 5G—while familiar with the term—is still a new territory which the majority are still probably obscured about. Succeeding in what is present-day 4G—or LTE—mobile telecommunications technology, 5G is basically just a marketing term for the next-gen mobile internet connectivity. Bearing the ordinal number 5 or “fifth,” 5G also implies its status as the fifth in all the generations of mobile internet technology. Without going pedantic, 5G makes for an overall better mobile technology for its lower latency, higher bandwidth speeds, and better capacity. Making better in everything which the 4G internet connectivity is capable of, the 5G is theoretically capable of 20 Gbps data rate at its peak. However, just like the existing and previous iterations of the mobile internet, such a number is hardly ever achieved given the factors that hamper the transfer rate. According to Huawei, an average download and upload speed with 5G should be realistically achieved at 100Mbps and 20 Mbps, respectively. But if there is another thing which the giant tech company can guarantee is that 5G can sustain a single-digit latency, making it the internet connection of choice for online mobile gamers and heavy online users. One major aspect of the industry which will significantly benefit from this up and coming technology is the social media. With an overall better quality of mobile internet connection across the board, users are expected to upload more high-quality contents. To those who are getting the full benefits of 5G, users are being anticipated to opting more of higher quality display such as 4K for their upload and streaming habits. Furthermore, they are also being perceived as adopting newer and engaging technologies such as making 360-degree rotatable imageries and mixed reality contents while online. Essentially, with slow internet connection no longer an issue with 5G, users are given the benefit of creating and consuming contents a lot easier. However, the apparent benefits of 5G to users do not simply end there. 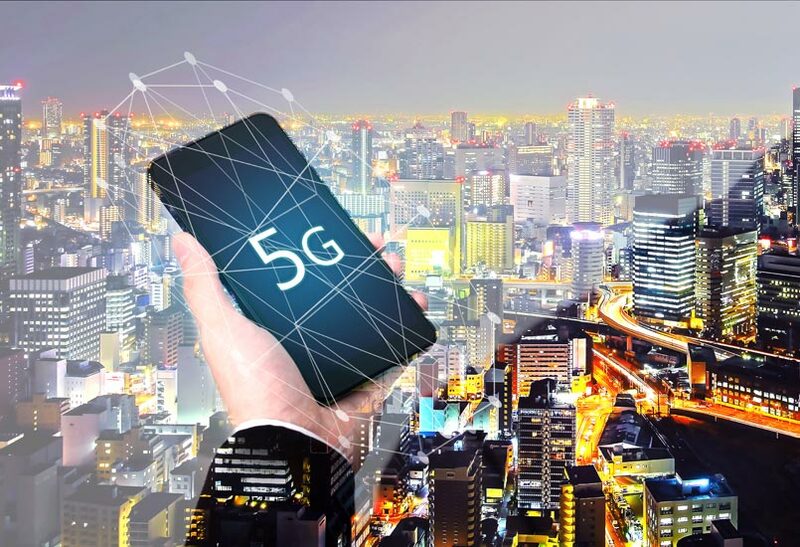 There is also an altogether different slew of gains that could come off by simply being a smartphone user with a 5G connectivity. When dealing with a cloud-assisted camera nowadays would imply being dependent on the smartphone’s GPU in adding layers of effects to an output, a more capable internet is able of rendering the same benefit real-time. In Cloud-assisted gaming, a fast internet like the 5G can aid in the development of Cloud-based or AR/VR games which is basically a boon to the developers. Users, on the other hand, are also benefited with 5G as an effective conduit between the Cloud and the device. With the processing now happening in the Cloud, this implies that less resources are being tapped on the device’s end, thereby making games more bearable for lower-end specs. Reiterating on AR/VR games, Huawei is confident how 5G would play crucial role in the artificial and virtual reality entertainment. With the Cloud VR at the core of it all, the company sees 5G-enabled smartphones becoming able platforms in AR/VR which is made possible by shifting cost and power consumption from the device. Yet, as technology is also one to transcend other facets of the society, the impact and practicality of 5G applies to other sectors such as in the government, health, and education. This article was written by Adam Parnala, the Founder and Editor of NoypiGeeks.com.